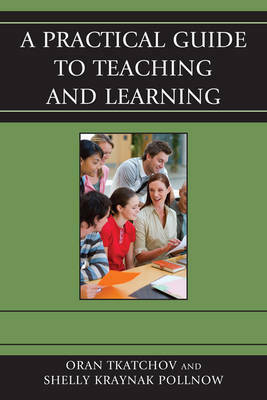 A Practical Guide to Teaching and Learning contains a compilation of fifteen main ideas or concepts that will help teachers to become better at what they do to help learners reach their potential. Each concept is a common sense approach that is backed by research and provides an understanding of what a teacher should know and be able to do as an effective professional in their classroom. Ultimately, it is the teacher behaviors that have an impact on the student behaviors, and each chapter provides sound suggestions and tips to set the teaching and learning relationship up for success. At the end of the chapters, there are Reflection Scenarios to assist the reader in thinking through possible issues and assist the reader in applying the concept to situations in their own practice. There are also guiding questions to stimulate personal reflection and may be helpful if using the book for a book study for professional learning community dialog and discussion.